Key cast pictured for Andrew Davies’ epic drama. 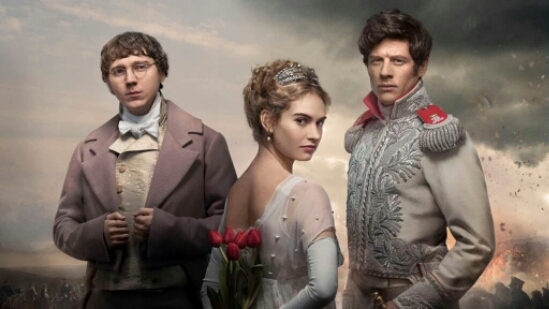 BBC One has released a new iconic image for its upcoming six-part adaptation of War & Peace. Adapted by Andrew Davies, the classic story stars Paul Dano as Pierre, Lily James as Natasha and James Norton as Andrei. The ensemble cast also features, Jim Broadbent, Gillian Anderson, Rebecca Front, Kenneth Cranham, Aneurin Barnard, Tuppence Middleton, Stephen Rea, Callum Turner, Tom Burke, Aisling Loftus, Jessie Buckley, Brian Cox and Ken Stott. War & Peace will begin in January on BBC One.